Today, most of us think it’s antiquated to spend a full day and tank of gas traveling around town when the best deal is online. Then why do so many men still purchase their clothing this way? With liberal return policies and low shipping costs, shopping online is a no-brainer. 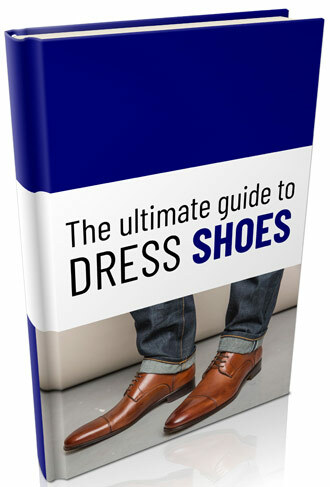 The average man spends 30 hours shopping before he finds a suit that he like and fits him – both large & small men spend even more time searching for garments that fit them in key areas properly. Being 6 foot plus is great for basketball, but a pain when it comes to finding a shirt with long enough sleeves. Shorter than 5’6”? We know your pain of having to look in the boys section for a suit that isn’t too long. In this article we’ll address five reasons a man should consider purchasing custom menswear online. When you walk into a menswear store, you see suits everywhere. But most of this is superfluous, as that what you want is only a small fraction of what is available. Use the Men’s Warehouse as an example: I walk in and ask for a light gray pin striped single breasted suit in size 44. Although I have only specified three factors, I have nonetheless reduced the Men’s Wearhouse inventory of 2000 suits to maybe 2 or 3 garments that fit that description. Now imagine if I asked for something a little more fashion forward, say slanted pockets and peak lapels. It’s unlikely the Men’s Wearhouse, Brooks Brothers, or Jos. A Bank would have a men’s suit jacket like this in their entire nationwide inventory. With custom clothing selection is never a problem; your choices are unlimited. What you ask for is made to your specifications; no compromises. The garment you have made is a one-of-kind masterpiece of fabric and thread. This goes hand in hand with selection; with a custom bespoke suit, you are free to adjust as many aspects of your suit’s style as you wish. There are no such things as strange requests; need one sleeve longer than the other (most men’s arm are not the same length!) – done. 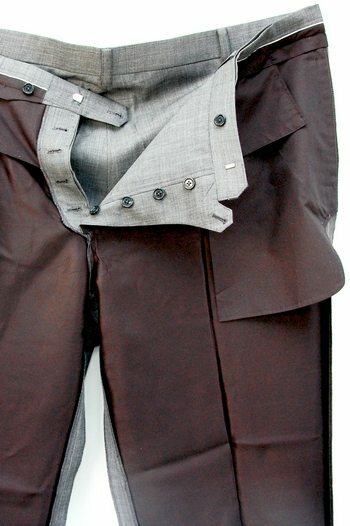 Are you a detective and need a suit that hides the bulge of your weapon – easy. Do you want to make a statement with a flashy lining – what color? Custom clothing is just that; Custom. Try asking for this at Brooks Brothers, the Men’s Wearhouse or at Jos. A Bank! When you have a custom garment created, you are giving a very specific set of instructions to an artist who wants to realize your vision. They work their magic with your chosen fabrics, and the final product is their handmade creation, not a stale cutout from a factory. 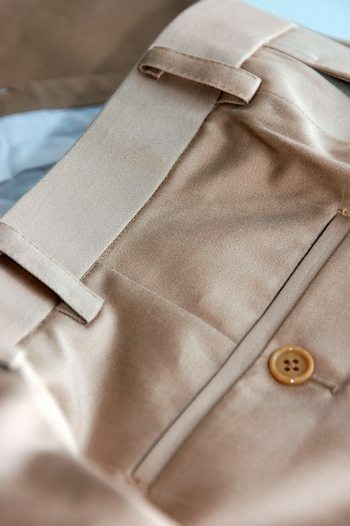 Quality is higher because each garment is individually created, inspected, and tested. You won’t find that even at Brooks Brothers. One of the most powerful aspects of the web is how it forces a seller to lay his wares for all to inspect and see – as a buyer you have the power to walk away with the click of a mouse. You can shop for as long as you wish, look wherever you may choose, and at the end of the day the vendor must convince you his product has more value than the hard earned dollars you are parting with. 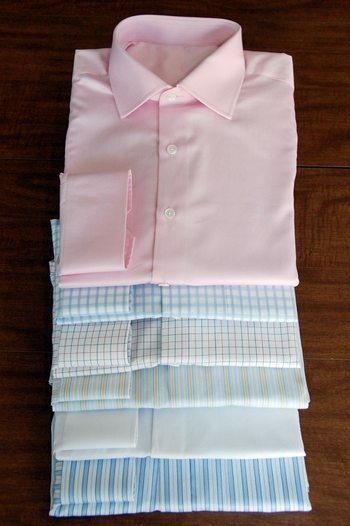 It is this transparency that makes buying a custom men’s suit or dress shirt online great. You design exactly what you want, and can on your schedule ask for clarification on anything that concerns you in regards to the purchase. You control the tempo and speed. No getting caught in a sales speech and the emotion it is meant to arouse. 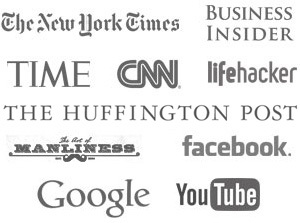 You should ask and expect a response for the privilege of your business. I mentioned this earlier, but it deserves reiteration. Your time has value. 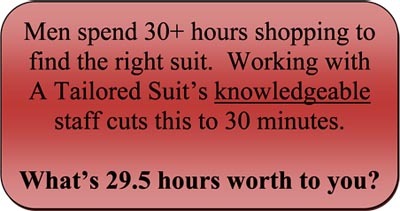 If you earn $100+ a day, then a day spent shopping costs you at least this amount. So what did you gain by shopping for 10 hours only to buy a suit that neither fits nor is the color or style you actually desire. It is always worth paying more for quality and getting what you want versus buying cheap and settling for something inferior that you will never like. A suit’s whole purpose is to present a man to his viewers in the best possible light. 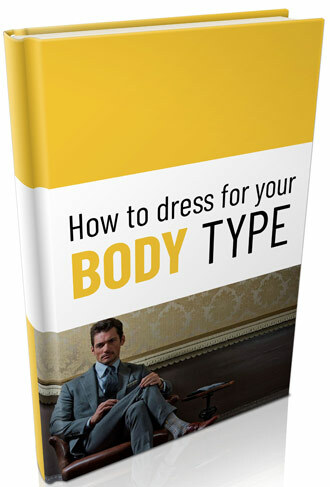 Do your suits and shirts help you feel confident? Custom clothing is not for everyone. There are those out there who fit perfectly into off the rack suits, are not interested in customization, are not concerned with quality, like to be pressured into a sale they don’t know everything about, and have plenty of time to waste. If you don’t fit this description, you may want to explore the online custom clothing option.